This is the “anytime is a good time” dish. When your fridge is empty but you fancy something more fun than tortellini. 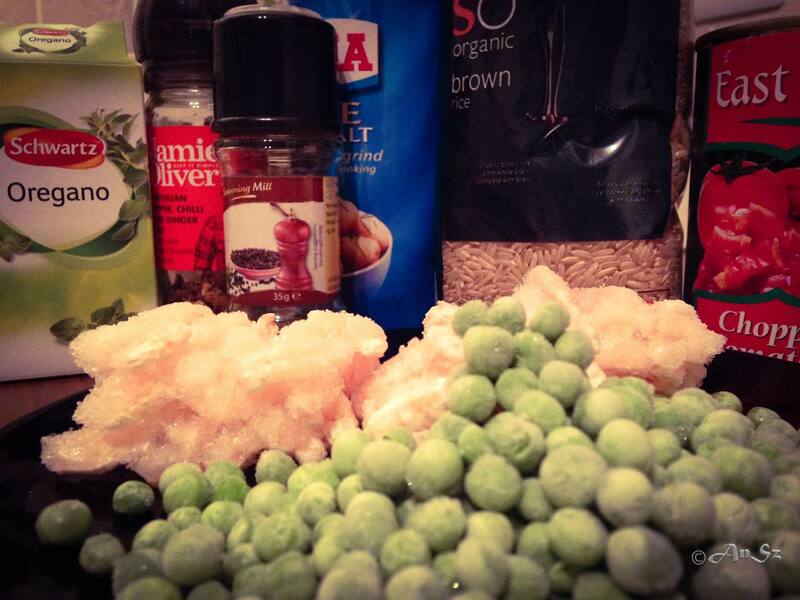 All you need are prawns and peas from the freezer. 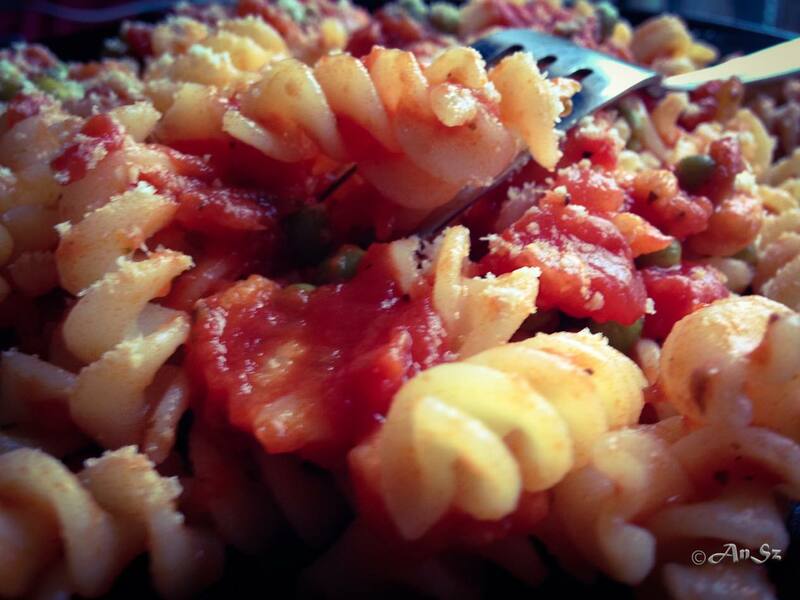 You can make it with pasta or rice and it takes 15 minutes to make. This is my last “tummy saver” option when I had no time for shopping. Boil the water and add pasta or rice with some salt. I hope everybody knows how to make pasta. Typical uni food – and porridge and sandwich Put some olive oil in the frying pan and add the frozen peas and prawns and stir it. When it’s not frozen anymore get rid of the extra water and add the tomato. Add some oregano and some garlic (it goes well but I can’t have it so I leave it out). I normally increase the heat so the tomato sauce gets thicker a bit. There is no food which doesn’t taste amazing if you put some cheese on the top. Cheddar and parmesan, my weaknesses!